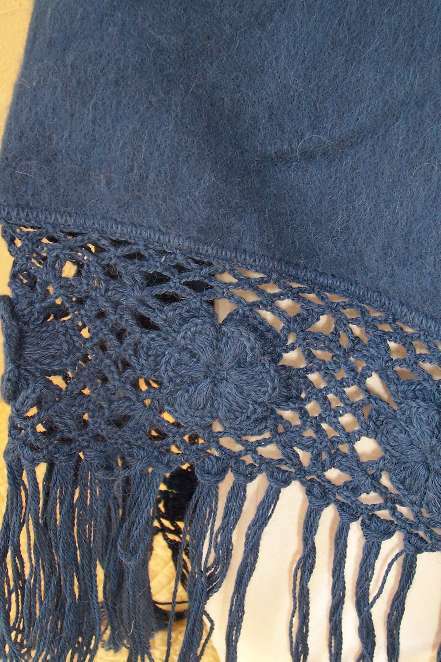 Super soft and warm this beautiful felted shawl has crocheted edging and lovely fringe detail. Made from 100% alpaca, this is a perfect alternative to a sweater for those in between days when you need a little extra warmth. Elegant enough to use for evening wear over that special dress. The shawl comes in blue or white.